It’s that time of year again that you may need to keep these around to fight off congestion. 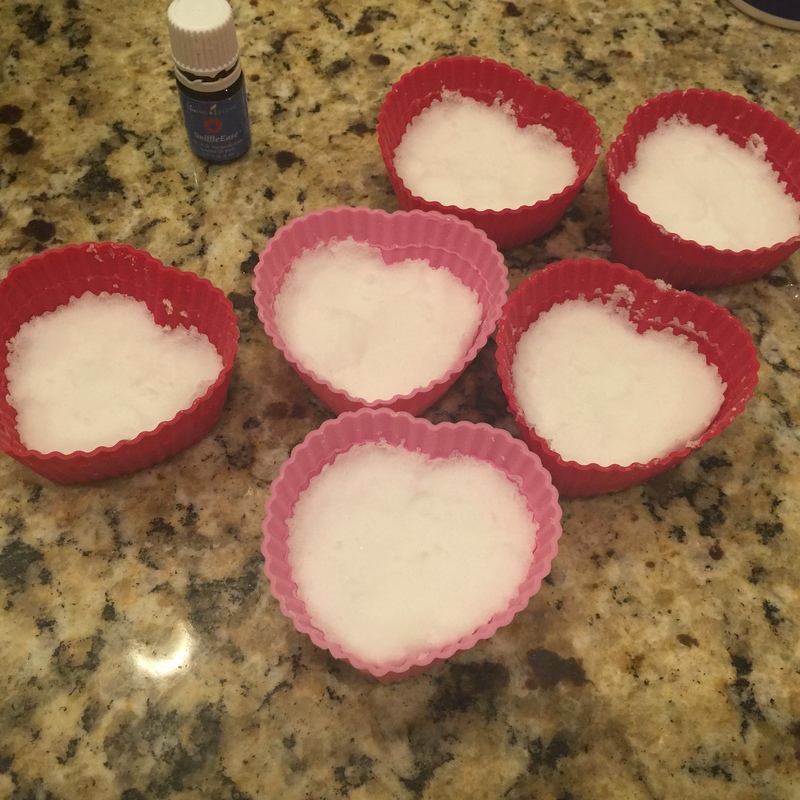 I tried out this recipe recently to make homemade vapor shower tablets for the shower and it worked pretty well. These are similar to the kind you can buy at the store but natural.They are easy to make and cost a lot less than the store brands.You can use any type of mold to form them or you can just form them with your hands. They are nice to keep in a glass jar in the bathroom and use them as needed throughout the winter. 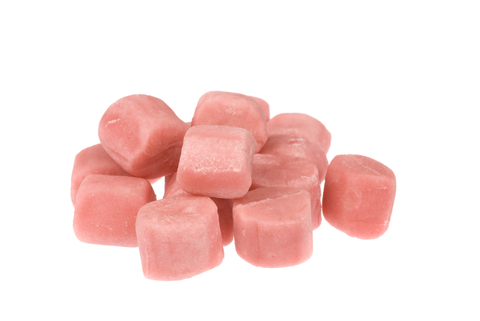 The tablets in the molds right before I put them in the fridge. To use just put one on the shower floor and turn the water on. Don’t put it on the floor until you are ready to get in that way you get full use out of the tablet before it washes down the drain. The vapors from the oils will release to help open up your nasal passages. Enjoy! It’s easy to go out a buy some different extracts at the store but this its not hard to make your own. It’s a nice thing to give away. 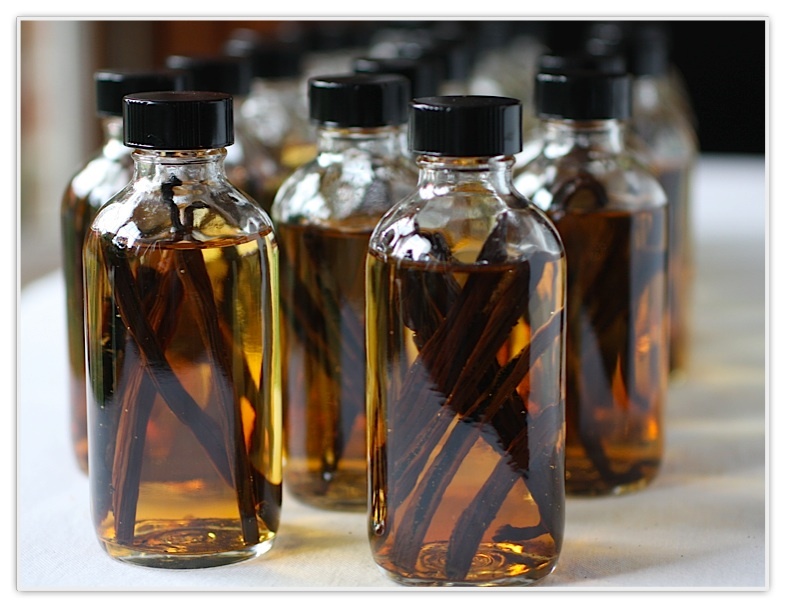 The ingredients are easy to buy and you know what’s in these extracts and what’s not in them. 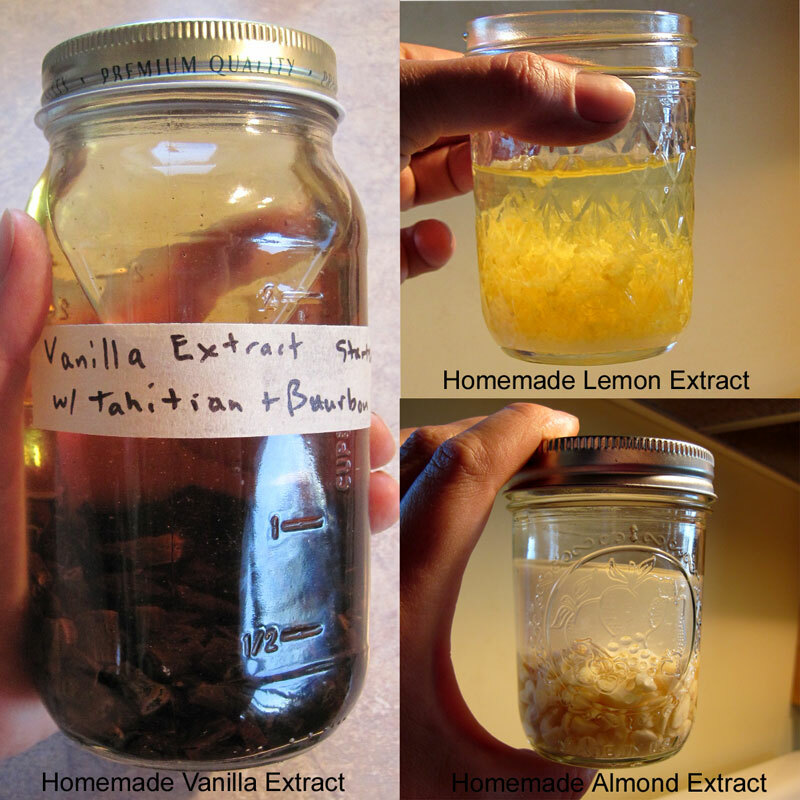 Here are some recipes for Almond extract, Lemon Extract and homemade Vanilla. Just click the link below. We found this great recipe for making your own herbal decongestant salt steam that is perfect for the upcoming winter. With the kids back in school and bringing more germs home we are bound to catch a cold or get stuffed up a time or two. 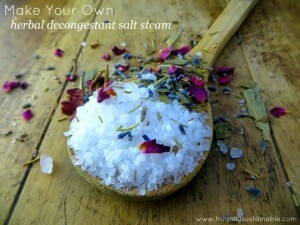 This steam is made with natural ingredients and will work great for sinuses and stuffy noses. Made with decongestant ingredients such as dead sea salts, herbs, and essential oils…inflamed upper respiratory tissues are calmed and sinuses are opened. These salts can be used as a bath salt or foot soak. But I love them when used in a bowl of steaming water with a towel over head. Try it and let us know how well it worked for you! When you see how simple this is and how little the amount of soap there is in foaming hand soap you will never want to buy it again. You can make your own very easily for a quarter of the price. 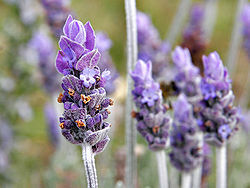 You can use it in the rinse cycle to give the sheets or clothing a light lavender scent, great for helping you sleep. 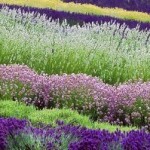 A scented spritzer around the home for carpet, sheets, etc. I even spritz my furniture with it. Directions: Mix the essential oil and vodka together then add water. Seal in a mason jar or bottle with tight cap, store in a dark place for 2 weeks before using. 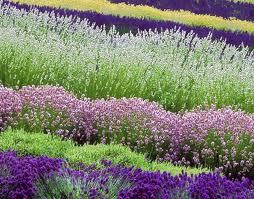 occasionally lightly shake the bottle around the move the lavender oil around. You can put it in a spritzer bottle after 2 weeks.